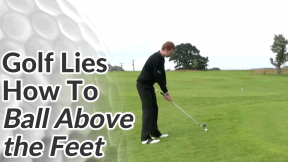 In this lesson we’ll look at playing the golf ball when it’s below your feet (also known as a hanging lie). 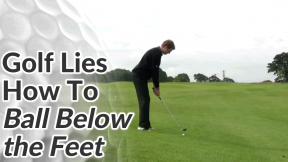 I find that a ball lying below the feet tends to be the sloping lie that golfers struggle with the most. 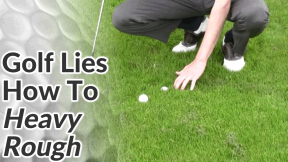 There’s a tendency to catch the ball thin and for it to carve out to the right (for the right-handed golfer) with a low ball flight. 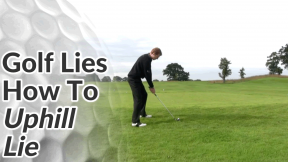 On a ball below your feet lie (also known as a hanging lie) the slope will tend to affect your swing and the flight of the golf ball. 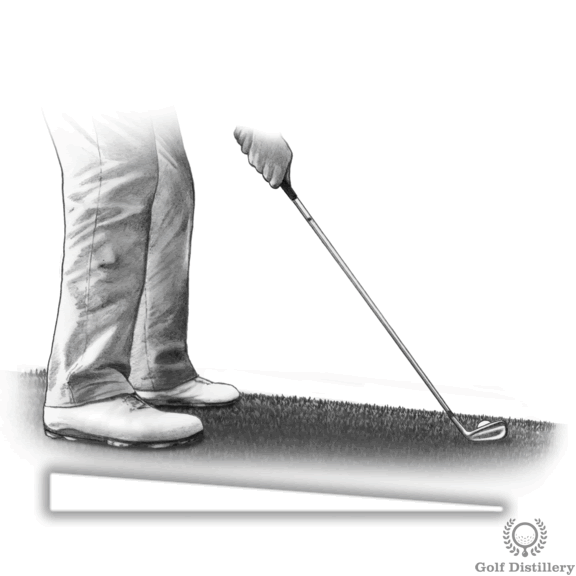 Because the ball is beneath your feet, in effect it’s further away from you so you’ll need to bend your knees more than usual to bring yourself close to the ball – almost as if you are sitting into the slope. 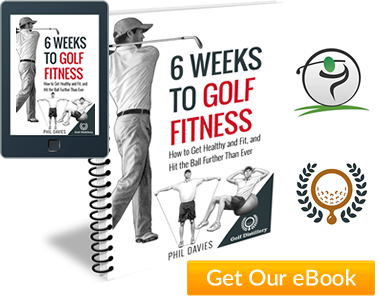 This will also help your balance. Grip the club at the very end of the grip so it’s as long as possible. 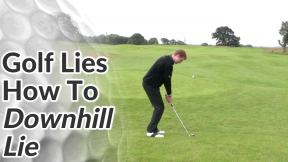 On a steep slope you’ll have a steeper swing angle and that means you’ll tend to hit the ball from left to right (vice versa for the left handed golfer). 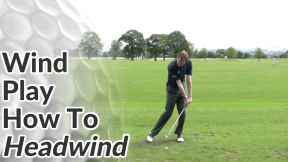 You should account for this by aiming slightly left of your target and allowing the ball to fade back to the right. 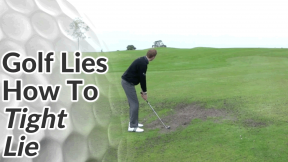 Take a club more than you usually would for the distance you have. 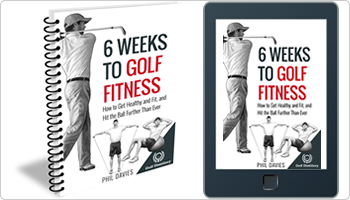 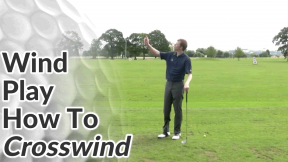 This will allow you to make an easy swing, which in turn will help you to keep your balance.